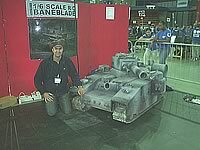 In May 2003, Games Workshop contacted me with regards to building a 1/6th fully RC Baneblade. 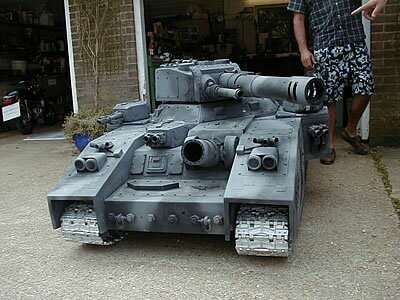 Not knowing too much about their models, I asked if we could meet and discuss this Tank. 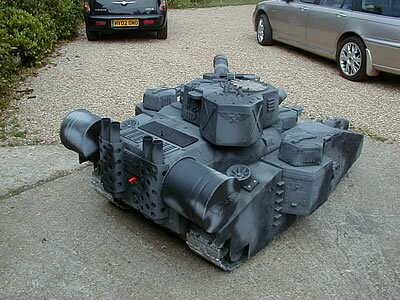 Ewen and Tony from Forge World came down to see me and the Tanks, and we immediately got on very well. 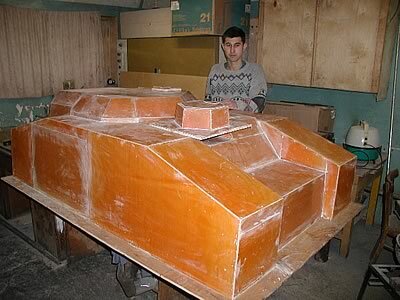 When I looked at a 1/35th model of this monstrous Tank, I realised it was going to be a bit big! 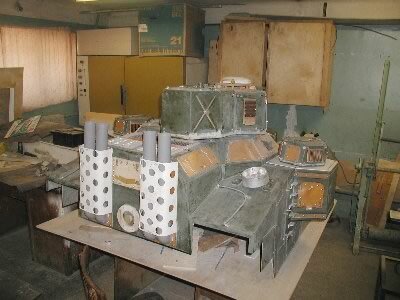 Alex and Olga were coming over to stay with us in July that year, bringing with them the first 1/6th Maus, at that time, by far the biggest 1/6th RC Tank in the world. 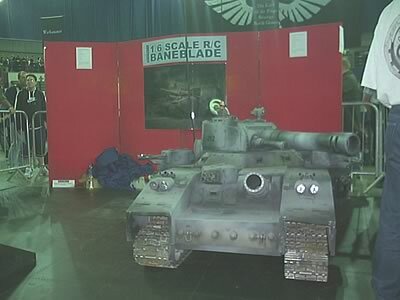 We all met up with the guys from Games Workshop again at the War & Peace show in 2003, where I showed the 1/35th model to Alex for his opinions. 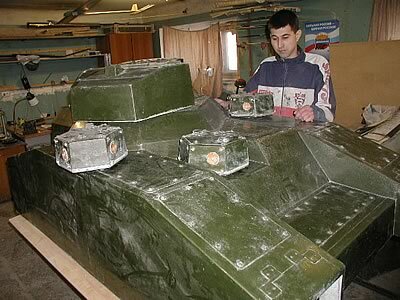 He almost instantly said "Da Da, we can make this Tank!" So Alex and I worked out how much it would cost for him to make, and after the show, I put the figure to Games Workshop for their approval. In August / September we got the official order for Alex to begin the work. At first, as is always the case with a huge project like this, things started slowly, but after a few months, pictures started to come through from Alex of work in progress. When we looked at the size of it, we thought we had all gone mad! then a first track sample. until in June 2004 Alex sent me this picture that blew me away! Alex is 6' 4" tall, so I was a bit shocked! 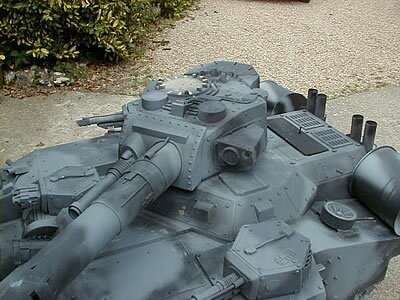 In July 2004 the Baneblade was sent to me, on two pallets. 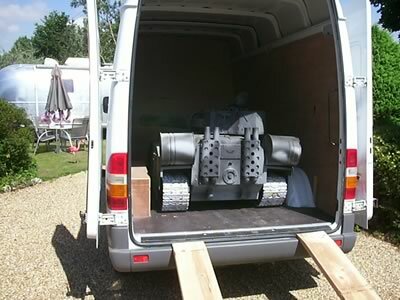 When it arrived in the back of a 7.5 ton truck, the complete package weight in at 317 kgs!, there was however a 1/6th Sherman Firefly inside it!!! The only way I could move it from its box, was to drive it, so I connected up the RC, Battery and ESC and literally drove it off of its crate, and into my workshop! 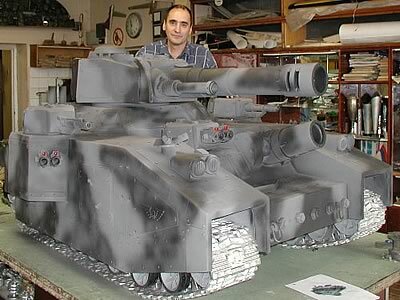 As it is so big, being 4'10" wide, 6' long and almost 3' tall, and it weighed in at 230kgs!! 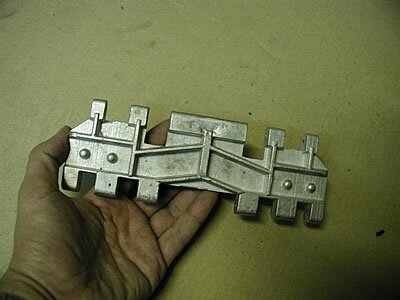 It would not go on my bench, so I had to work on it on the floor, luckily, it was summer! I had to stiffen the suspension slightly, adjust the gearing by lowering the chain drive to the rear sprockets, connect all the electronics up, fit 2 x 60w 8" speaker with a 400 amp amplifier, use 2 x RC systems, one to control the drive, front turret, and sounds, and another to operate the main turret and side sponson turrets with main gun elevation. 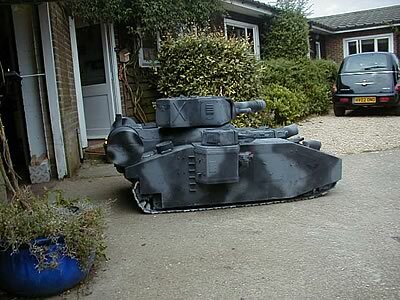 I then made up all the switches, and charging leads so as not to remove any turrets, set it all up, and tested it up and down the road to our premises. The Baneblade is over half the width of the road, so it looked unreal driving up it, as a certain tractor driver can confirm, he was gobsmacked to see this thing driving up the road towards him! 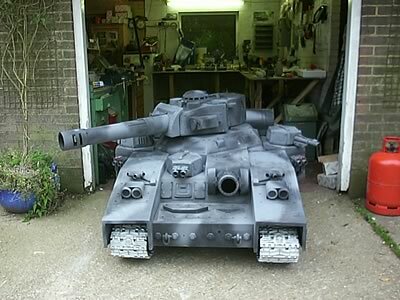 After I had finished it, I contacted Ewen at Games Workshop who came down to check it all out, be shown how to operate it, and for me to park it in their van, albeit, only just! To say they were happy with it, was an understatement, as it was, and is, mighty impressive on the move. Alex has done an amazing job just getting it to move, let alone making it so quickly. 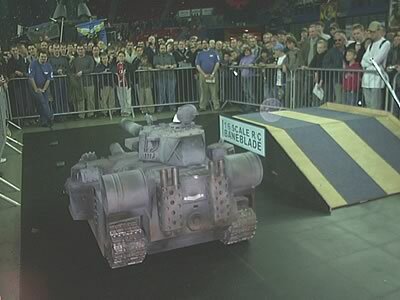 So, on 3rd October this year, I was invited to drive the Baneblade at the Games Workshop Day at the NIA in Birmingham in front of 8000 people. 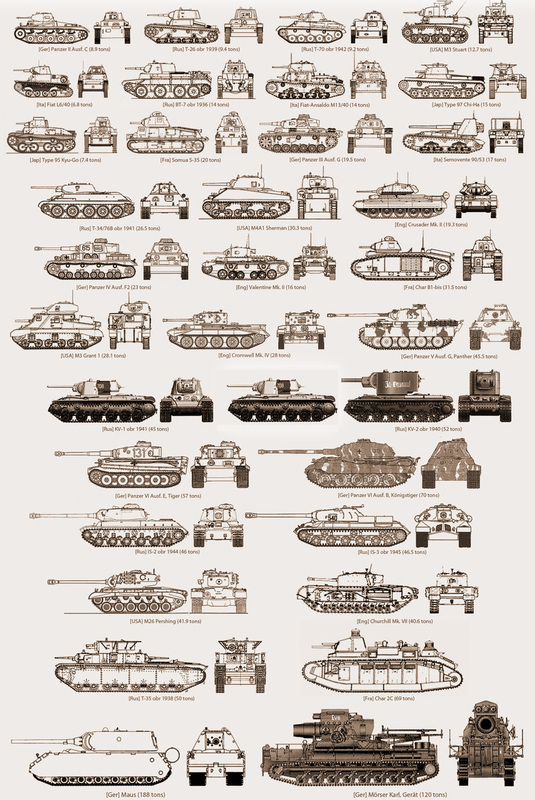 The Tank behaved itself very well, giving 5 demonstrations throughout the day. 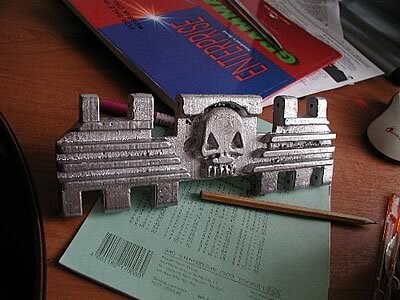 Games Workshop had added some lights, and some extra detail, and painted it to their own design. It looked and sounded fantastic on the day. Everyone who saw it there, was very impressed. Now, I believe it will be sent around the world, promoting their shows, and who knows, there may be more in the future! We can sell these direct to anybody interested.